-Be fluent in 6 different languages in 6 years. -Publish a novel within the next 3 years. This is the first step in becoming a linguist. I want to master my native tongue at the level of an academic in order to better communicate with other Latinos, have better marketability in the job market and for personal peace of mind. I’ve always wanted to be fluent in Spanish and have made leaps and bounds in learning the language as an undergrad. I would like to eventually travel to Latin America when my Spanish skills are developed enough to get around by myself. This will open the door to my next two goals. I would like to enroll in a New York City based college or university by the Fall of 2014 for an M.A. in Spanish. -Complete a Ph. D in Linguistics. I’ve always dreamed of speaking mulitple languages, and using this knowledge to travel the world. I figured there’s no better way to study language than the field of linguistics. I see it like this: I’m a musician and in order to learn how to play any instrument, one must have a working knowledge of music theory. Linguistics is the music theory of language. This goal may take a while to complete but rest assured it will happen eventually. -Be fluent in 6 languages in 6 years. Although it may sound very challenging on paper, this goal will work hand in hand with the first two. 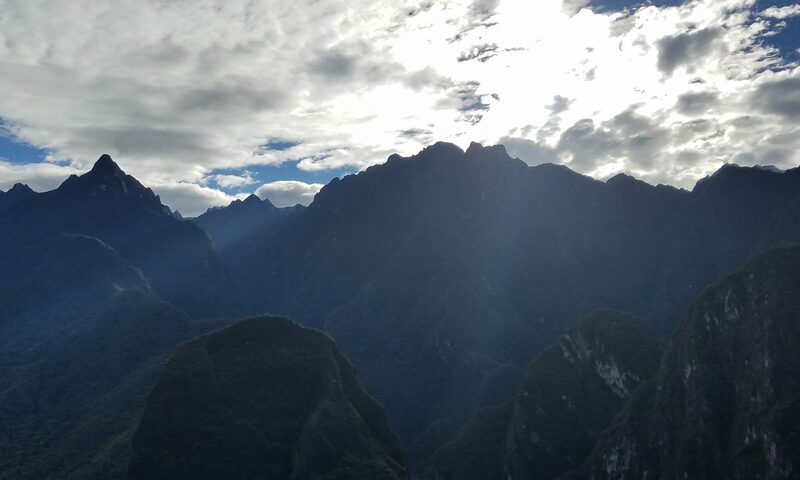 I’ve picked up different languages while studying abroad very fast and have learned that full blown immersion is the best way to learn a language. I want to be able to speak, write, read and understand Spanish, French, Japanese, Cantonese, and Arabic apart from already knowing English. With any of those three languages mastered, I could land a job translating, pehaps even for the U.N. That would be amazing. I figured I have 6 years and change to master 5 languages, 2 of which I have studied before and one (Spanish) I already know pretty well. My goal is to be fluent in all of these by the time I’m 30. My lifelong goal has been to become a published author. Techinically I have many published works already in the field of journalism, but I would like to take my authorship a step further into the realms of fiction and non-fiction. I would love to write any and every kind of novel, and already have a few solid ideas and short stories to build on. Although many may say print is dead, that is not the case at all for the written word itself. The way I see it, like many industries the publishing industry is being changed by recent technological progress we have acheived as a society and will continue to grow albeit in a slightly different avenue from that of the traditional. Whether it’s in print or if it’s on a Nook or Kindle, my goal is to become a bestselling author at some point in my life. Latin Alternative is an umbrella genre for many different styles of Spanish-language modern day music across a vast array of sounds, countries and musical subgenres. Anything from rock music like pop-rock, alt. rock, rap and club music like reggaeton, 3bal, ruidoson, and other EDM variations, and even as far as Spanish reggae could fall under the meta-genre that is Latin Alternative.The name Latin Alternative usually is used in the United States to refer to all these different genres, although each sub-genre sounds very different from the next. Notice the mellowed out intro and harmonious vocals, abruptly turning up the intensity at the pre chorus to an emotional ballad-like tone. Definitely an alt. rock feel. Libido is a Peruvian band that started in the late 90’s and remained active and very popular through the 2000s. Here you hear palm muting guitars, and basslines matching with acoustic and electric guitar melodies. Also, the video is pretty trippy, bro. The smooth, wavy sounds and ska-like rhythms are reggae signatures, mixed in with Spanish lyrics and guitar melodies. Very cool stuff. A very interesting side of Latin Alternative music are 3bal and ruidoson, two genres of EDM mixed with traditional Central American rhythms, often fused with cries against political corruption and economic imbalances in Mexico. Here’s an article I wrote about these two developing musical genres. Consider this a bit of a warning, juxtaposed with a ‘those were the days’ kind of piece. Kids, in the summer of 2008 I began my first semester of college at St. John’s University. It was awesome. I lived in the residence halls my first year and a half, went to Europe for the length of my 4th semester and joined a fraternity the following year. I kept my grades in good shape until my tomfoolery got the best of me. My grades began to decline while the good times increased; with my eyes nowhere near the prize I inevitably lost sight of the main goal, which was graduating with the credentials and honors needed to make me stand out in the job market. Although I made up for lost time in epic fashion I still fell short of my ultimate goal and consider my time as an undergrad, albeit an experience of a lifetime, an academic failure, due to a lack effort and a skewed set of priorities which led to an imbalance of fun over work. Don’t get me wrong; I still graduated, I still had fun, still went to a great school and made lasting connections, had memorable experience and learned a lot. Some may call me a perfectionist, but I feel like I could have done better. This sentiment haunts me every time I apply for job, look at my degree or reminisce about the times where my pen and paper should have been busier than my party schedule. I started out strong my first two years at St. John’s. After my first four semesters I had a 3.2 GPA and had a few academic organization memberships under my belt, not to mention the study abroad trip of a lifetime which sent me to three different European cities over a span of four months. The following year, my junior year I joined a fraternity on campus, Phi Iota Alpha Fraternity, Inc. for all the right reasons (no sarcasm intended). I learned about my culture and historical background on an unprecedented scale and felt a new sense of pride in my Puerto Rican roots. The catch, however was that once I finished my pledging process I stopped caring about my grades for that semester, the cardinal sin of being a neophyte, a.k.a. a new member of a fraternity or sorority. As my ‘neo summer’ began, my stellar academic record’s golden age was coming to an end, and little did I know would enter a dark age which took several semesters, summer courses and CLEP exams to correct. In the Spring of 2011 I let procrastination spill over into finals’ week, which is like a soldier going into battle unarmed. I was on an academic suicide mission all due to my own thirst for good times via wild parties, a thirst all fueled by my irresponsibility. I failed three courses in the Spring of 2011, bringing my GPA down to a 2.8. I was devastated and disappointed in myself. I could have passed every course I had failed with a C at the very least. I knew I was harder working and more intelligent than to have three Fs show up on my grade report, but then again “Your grades are not given, they are earned,” said every teacher ever. I had never failed a course before in my life. The following semester the pressure was on the redeem myself. It was my senior year, I was behind in credits and I was in danger of losing my partial scholarship. I balked epically at the chance, but had just enough success to barely keep me going. I got caught up in the party life, this time worse than before. I was Jay Gatsby of St. John’s, focused on the vanity and the craziness that would not matter after I was finished with my undergraduate career. My grades, however, mattered very much and were declining at an ever more rapid rate. I passed 9 credits worth of CLEP exams to make up for the three classes I had failed the previous semester. The catch (there’s always a catch) was that I had to withdraw from all of my classes in order to not completely ruin my GPA, except for one class that I had not fell completely behind in. The stage was set in what I hoped would still be my last semester as a Johnnie before I graduated. After two semesters of crazy nights and horrible grades I took it upon myself to try and right my wrongs. I took on 27 credits in one semester. That’s right, 27. I took 6 classes, amounting to 18 credits, plus 9 credits of CLEP exams. I was not easy and although I tried I fell slightly short, failing a class and earning 24 credits instead. I toned down the good times in West Egg, although my shenanigan-ridden shindigs still went on from time to time. I had 4 credits left before I graduated, enough to be able to walk across the stage with my class at the May 2012 commencement. I felt like I didn’t deserve it. Any of it. All the praise I got that day, my family coming out to see me on campus, my sophomore and junior friends hugging me and saying “Congratulations! !” felt like a total sham. Call me a perfectionist, but I felt like my commencement was ruined by no one else but the man in the mirror. I was determined to make that change and finish up strong. The following semester I registered late and had no choice but to take 2 classes with professors that I was not on very good terms with; one professor I had not worked meshed well with and would often skip class and come in unprepared during my Spring 2011 semester, and the other professor was the only professor whose class I had failed during my 27 credit crusade. I had to juggle morning classes 3 times a week in Queens, a part-time job at Union Square in Manhattan and being part of a band complete with gigs all over the city, all the while living at the very top of The Bronx. It was the best semester I ever had, save for my time Europe. I came into the Fall 2012 semester deeply embarrassed that I was what the kids nowadays call a ‘super senior.’ I was surprised to find out that many 2012ers like myself had gone the ‘whole nine,’ semester-wise and I was not alone in my plight to finish a bit past the 4 year expectation. I loved my classes. I studied diligently and really immersed myself in my coursework. I finished my final semester with an A- and a B+, the latter grade coming from the class I had failed the semester before. I am now proud to say that I officially graduated with the class of January 2013. It wasn’t easy and wasn’t perfect, but I did what I had to do and got the job done. 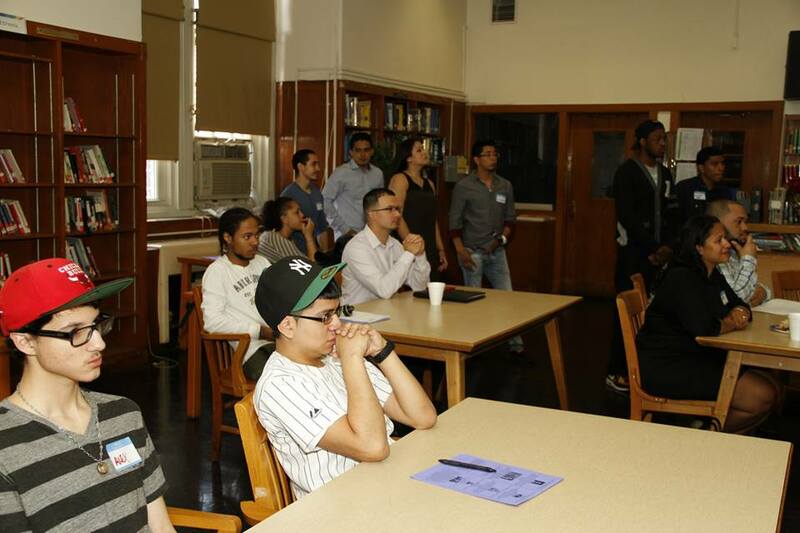 The second annual Enlightenment Conference was held at the Brooklyn Academy of Urban Planning on Saturday, June 8th. 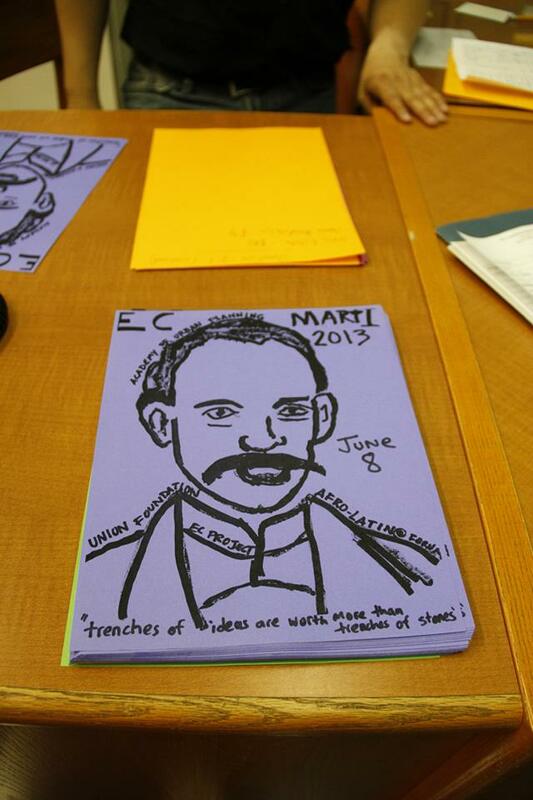 The day’s events featured talks from scholars and educators from the Greater New York Area focusing on the central figure of the event, nineteenth century Cuban writer and revolutionary, José Martí. The event drew dozens of high school students, college students, recent college graduates and educators alike to discuss topics regarding Latin American politics and history. 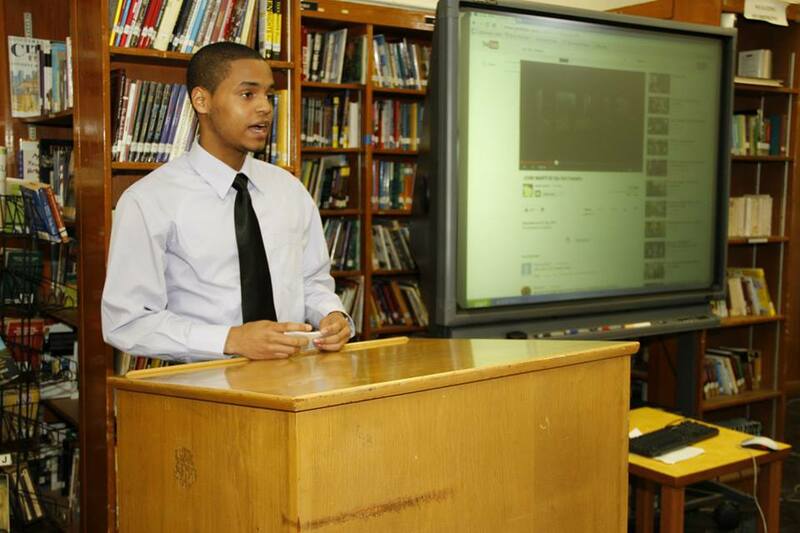 The conference opened with two speeches from the Salutatorian and Valedictorian of the Brooklyn Academy of Urban Planning’s Class of 2013. The top honors tandem were brothers Ramón Luciano Capellan and Ramón Antonio Capellan. Both brothers, who are originally from the Dominican Republic, delivered inspiring words detailing their hard work as well as what motivated them to strive for academic excellence. There were six workshops held throughout the event focusing on particular movements and viewpoints of Latin American history, culture and politics. The event was divided into four time sections. Conference attendees were given two workshops to choose from for the first session: ‘Martí’s Ideology and Today’s Immigrant Family Experience’ by Luis J. Nicho, JD. or ‘Teaching Martí to our Youth’ co-hosted by NYC Assistant Principal Diana Isern and event facilitator and NYC History Teacher, Jorge Sandoval. Both workshops in the first session focused on José Martí’s life and work in order to relate his experience to modern day struggles of today’s youth as well as modern day immigrant families. The second session gave conference attendees three options: ‘José Marti’s presence in the Young Lords Movement’ by CCNY Graduate Student Jorge Arteaga, ‘Socialism, Capitalism and Corporate News Media in Latin America’ by NYU Graduate Student Ramiro Fúnez, or ‘Jose Martí Discusses Today’s Education 115 Years Ago’ by Jorlui Sillau, MPA. 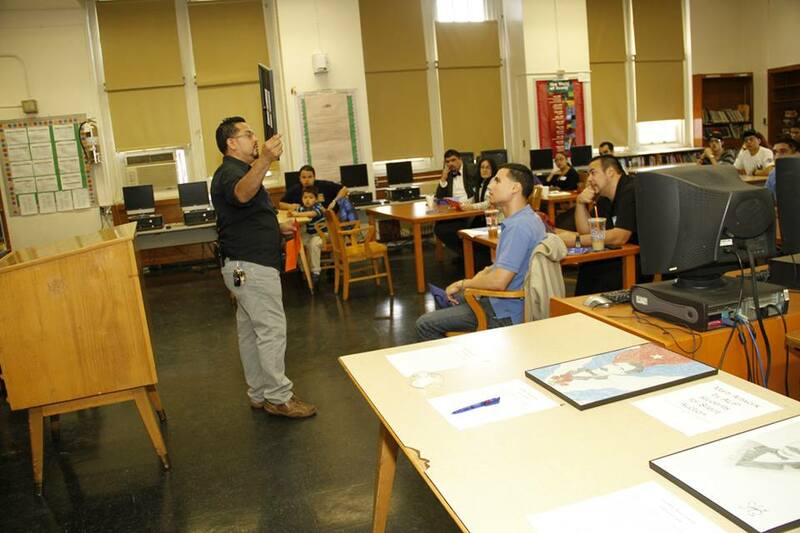 These workshops kept Jose Martí and education in mind as well as delved into modern day politics, media relations and corruption in Latin America and the struggles of modern day Latinos in the United States. The third session of the Enlightenment Conference was a lunch hour featuring several fundraisers and a presentation on the Icla Da Silva Foundation by Jorge Santos, M.S. in Sociology and Anthropology. The Icla da Silva Foundation is a bone marrow registry formed in hopes of finding matches for transplants for those who have life threatening bone marrow deficiencies. Dozens of conference attendees signed up for the registry. 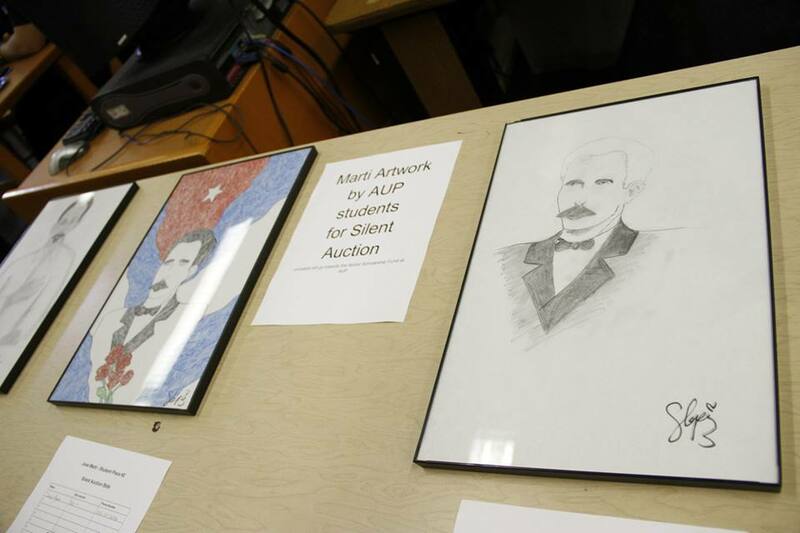 The lunch hour fundraisers included a silent of auction of several pieces of student made José Martí portraits. Over $500 was raised throughout the day through fundraising and generous donations of attendees. The final session, entitled ‘The Diasporic Martí: New York and Beyond’ was an intriguing look at Martí’s life in New York City in the late nineteenth century. The first half of this session was presented by Guesnerth Josué Perea of AfroColombia New York, focusing on José Martí’s own commentary on his experiences living in the NYC. Martí met with several of his revolutionary contemporaries during his time in New York, such as the Puerto Rican poet Lola Rodriguez de Tío. This session displayed Martí’s depictions of Coney Island, the Brooklyn Bridge, and several other famous places in New York City. 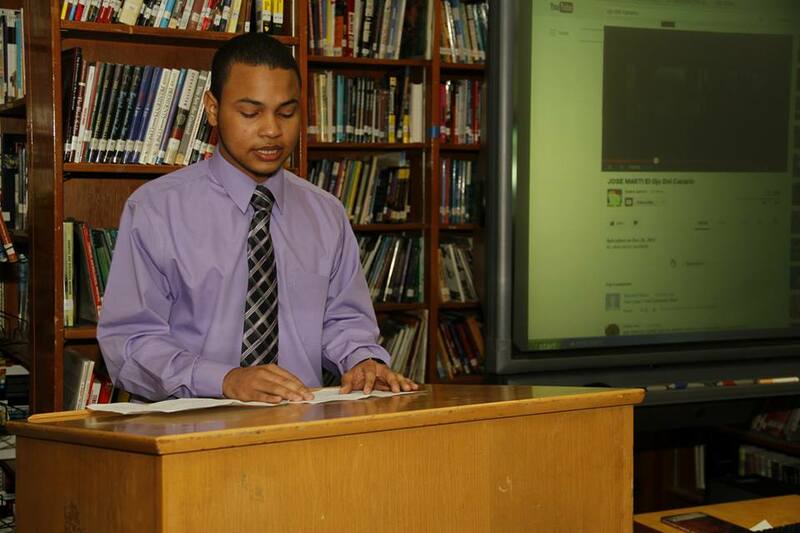 The latter half of ‘The Diasporic Martí’ was presented by Gabriel Higuera student at the CUNY Graduate Center. Higuera presented the life and experiences of nineteenth century Filipino writer and revolutionary, José Rizál. An extraordinary individual in his own right, Rizál was a linguist, world traveler, doctor, and dissident of the Spanish colonial regime. The Filipino Renaissance man had many similarities to José Martí, and was only seven years his junior. Presenter Gabriel Higuera hypothesizes that Martí and Rizál may have met during the time that Rizál visited New York, although there is no documented proof that this meeting occurred. All in all, the Second Annual Enlightenment Conference was a great success, combining grassroots community organization and participation with culturally rich and intellectually stimulating discussions. Attendees learned a wealth of information about José Martí as well as other aspects of Latin American culture, politics and history. Enlightenment Conference host and speaker, Jorge Sandoval delivering his introduction to the conference. EC Attendees during the opening of the conference. EC attendees having a group discussion during the ‘Teaching Marti to our Youth’ session. Society is a living contradiction. One’s entire life is nothing but a repetition of things one has seen from your first memories until your last breath. On the one side there is order, conformity, hierarchy, all based on this quote: “If you play by the rules, you’ll go far in life,” – Every teacher ever. On the flipside of that, there is the urge to be different, the thirst for freedom, the quest to break free from the shackles of this superstructure formed over the base of human relationships. The paradox of society is simply this: one has to mix and match allegiances, personal preference and priorities into one’s words and actions in order to create a unique mix of highs and lows, yes’s and no’s, stops and go’s that signify that a person truly is who he or she says she is. You have to fit in, but be different at the same time. In a way, high school never really ends. There are two sides to every person. One can say good and evil, but I disagree with using those terms since every person has the potential to be either. All people really want from any situation is good. No one wants bad from any situation. I see society today as most people see it: politics. Politics can mean anything involving negotiation, opinion, and power. There are two sides of a person, a side that is cautious and a side that is adventurous. Usually one is not as cautious as one is adventurous. Most people fall more to the cautious side or to the adventurous side depending on one’s actions as well as the opinions others have of that person, as well as the power that each opinion holds over the others’ opinions. For example, for all we know as the general public, actor and TV personality Russell Brand could come home from his TV show’s filming to a lovely home with a white picket fence, 2.5 children and a pregnant wife in a sundress cooking him and the family a nice, wholesome meal. BUT, we all know that this is not the case, because of his actions documented by media outlets and in his roles in film as well as the people’s opinion about him based on the former. This forms a cycle in which public opinion is created and re-created. Media, people, media, people, media, people. This is not exclusive to celebrities either, especially not in today’s world where one can literally become a celebrity overnight via the internet and everyone has a smartphone. www.RottenTomatoes.com is a site which compiles all the ratings of other critics on the internet about recently released films. The way the site works is kinda like the way society works; a percentage from 0 to 100 is calculated for each film on the site depending on how well or not so well the film was received by critics who published reviews of each film online. Keep in mind that not everyone knows about Rotten Tomatoes. People who are not on the internet, for example, may see an ad for said film on TV and may want to go see it despite a 20% rating on Rotten Tomatoes. People who don’t watch much TV may hear about the film through their favorite radio station on a commercial break with a favorable quote from a renowned critic in the ad, and then the radio listener may go see the film. There are people who will go on Rotten Tomatoes and see the 20% rating and will hear a much more favorable review from their best friend, and then will go see the film anyway. Or people may just wait until it comes out on live stream with Netflix. The point here is that the media and the general public influence and create one another through the exchange of ideas and opinions, and that each opinion is weighted differently from one person to another. The media can be anything. For real, anything. The word media is just plural for medium; the way there is a middle man in a financial transaction, the media is anything used as a ‘middle man’ for communication. Hence, when my major was journalism coming into college, the industry of reporting the news, it fell under the field of communications. The most accepted forms of the term media are publications; newspapers, magazines, and blogs, like this one. Media could also be a debit card, which carries information about one’s finances. Media could be a flash drive holding information like a PowerPoint presentation for work, or an illegally downloaded album from your favorite artist or musician. Back in ancient times, media was found on walls, like hieroglyphics, or on messengers sent from emperor to emperor, king to king, etc. in forms of engraved stones or knots on a rope. The most basic form of media is word of mouth. Even first graders, for example, have conversations about one another, about their teachers, their older brother or sister, etc. The opinion of a first grader on the people in his or her life works the same way as an 80 year old: opinions form based on what one thinks and what the people in their lives think. Society is a conglomerate of thoughts. The problem here is that society naturally becomes a war of opinions from different groups of people. If Bob fits in with Group A more than Group B, than Group A may label Bob as someone from Group B, even though Bob really is a Group A kind of guy. Bob may even cross paths with Steve, who’s in Group C. Groups A and B don’t know too much about Group C so by reflex, A and B call Group C incompetent. Then Group C shoots back at Group A and B –see what I mean? Society is just a war of opinions, bro. One of my favorite bands, Incubus, has a song with the lyrics “I guess it’s true when they say high school never ends.” Word to Incubus. If you ever thought you can escape high school, “Ya dead wrong,” – Notorious B.I.G. In terms of keeping up with The Jones’, trying to win over the approval and interest of others, and trying to find one’s own identity, ‘high school’ will never end. My name is Rubén Sebastián Muñiz. I’m 23 years old. I was born and raised in The Bronx, a borough of New York City. I just graduated from St. John’s University in Queens, with a B.A. in English with a minor in Psychology. I’m also the lead singer of Solitaire Revival, a New York City based alternative rock and hip hop band. I’m a new age thinker with a love for the performing arts and free expression. I’m a musician and a writer. I’m a Nichiren Buddhist from a long line of Latin American Catholics and I also went to private Catholic schools from Pre-K through my undergraduate career. I love life and everything about it; the good, the bad, the ugly, and the awesome. My parents were both born in my hometown, The Bronx, New York. Both sets of my grandparents came from different towns in Puerto Rico. Until recently I had no idea what came before that. This is because Puerto Rico’s ancestral diversity is a mix of so many nationalities and immigration waves, similar to the United States today, not to mention the indigenous Taino tribe that lived there before Columbus came in 1493. I did some basic genealogical research recently, by which I mean I looked up and cross referenced meanings of the surnames in my family on various genealogical websites. It turns out the surnames in my family originate from a number of different places, including, but not limited to: The Iberian peninsula, particularly Galicia, Asturia, Castille y Leon, and possibly Portugal. Ireland, and possibly Sweden and Holland are also possible ancestral locations. I am also of Taino heritage, which is held true by primary accounts of my family’s elders. There are also many physical features of myself and my family that point to indigenous ancestry, like the curved shape of my eyes, my fair skin color that is darker than the typical Caucasian, and the darker, clay-colored skin of one of my great grandmothers. I was very surprised when I found out about all my places of heritage. It proved that I could really come from anywhere in the world. Whoa. This confusing conglomerate of characterization through social labels is pretty mind blowing. The thing is I’m not the only one going through this. Not by a long shot. The numbers speak for themselves in terms of how big this new wave of people is in this country. I mean, damn. We are emigrating to, and reproducing in the United States like a giant herd of nomadic rabbits. The language there is kind of intriguing, don’t you think? Look at the last three words again: “regardless of race.” According to the U.S. Census, Latinos are not a race. Hmm, what are we then? The melting pot of Puerto Rico is not by any means exclusive to the tiny, beautiful island that my grandparents came from. It’s everywhere in Latin America. There are Latin Americans of Japanese descent in South America, particularly in Brazil; this demographic also applies most famously to controversial former President of Peru, Alberto Fujimori. Guyana is a home to many cultural backgrounds, mainly from Africa, India, and indigenous peoples, and they speak English. All of the nations and locations mentioned in the U.S. Bureau’s definition of race have this demographic trait about them. Ah, now I know why they said “regardless of race.” It’s because Latin Americans are every race in the world combined! The Millenial Generation, people from the ages of 15 to 25 years old as of 2010, accounted for 16.2 percent of the entire Latino community in the United States according to statistics gathered in the data set The Hispanic Population in the United States, 2010. That’s an estimated 7,914,000 in total, about 2.6 percent of the United States’ population. 70 percent of Latinos are Catholic, translating into 29 million Catholic Latinos in the United States (compared to 22 million white mainline Protestants). 23 percent of Latinos are Protestant or “other Christian” (including Jehovah’s Witnesses and Mormons). That translates to 9.5 million people. 85 percent of all U.S. Latino Protestants identify themselves as Pentecostals or evangelicals. That translates into 6.2 million people. 37 percent of the U.S. Latino population (14.2 million) self-identifies as “born-again” or evangelical. This figure includes Catholic charismatics, who constitute 22 percent of U.S. Latino Catholics. 26 percent, or 7.6 million, of all Latino Catholics self-identify as being born-again. 1 percent of Latinos identify with a world religion, such as Buddhism, Islam or Judaism. I am part of the 1% as a Buddhist. There seems to be many discrepancies within the religious affiliation statistics since certain belief systems overlap, i.e. Christian and Catholic. It is intriguing to see that 37 percent, a large plurality of Latinos in the United States self identify as agnostic or atheist. This statistic implies that younger Latinos are breaking away from tradition, as well as their elders who are already set in their ways of religion, and therefore usually intolerant of new ideas about accepting LGBT culture and other religions and belief systems. Dutwin, David, Ph. D. “LGBT Acceptance and Support: The Hispanic Perspective.”http://www.nclr.org. National Council of La Raza, n.d. Web. 14 Nov. 2012. <http://www.nclr.org/images/uploads/publications/LGBTAS_HispanicPerspective.pdf&gt;. Ennis, Sharon R., Merarys Ríos-Vargas, and Nora G. Albert. “The Hispanic Population: 2010.” http://www.census.gov. U.S. Census Bureau, May 2011. Web. 14 Nov. 2012. <http://www.census.gov/prod/cen2010/briefs/c2010br-04.pdf&gt;. Murray, Bruce. “Latino Religion in the U.S.: Demographic Shifts and Trend.” http://www.nhclc.org. National Hispanic Christian Leadership Conference, n.d. Web. 14 Nov. 2012. <http://www.nhclc.org/news/latino-religion-us-demographic-shifts-and-trend&gt;. This Is My New Site!